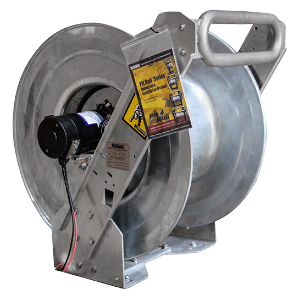 There are many situations where an industrial air hose reel can benefit your company and reduce occupational risks for your employees. Using direct drive technology, you can speed up or automate hose retraction to save time and effort. Loose hoses pose a tripping hazard for your employees and any visitors in your workspaces. Automated hose reels that are too swift can damage your hoses and reduce their lifespan significantly. Too many moving parts in a reel can increase the risk of malfunction and breakage. Our direct drive reels eliminate the moving parts to maintain effective functioning for extended periods of use. The quality inherent in our products keeps them operational to provide a safe working environment. Portable rewind reels such as the Hannay WCR11-17-19 for hoses on the go. Spring rewind reels; for example, the Hannay 800 for heavy-duty applications. Electric drive reels such as the Reel Tech ERT50, a heavy-duty direct drive system. All our products, both those we manufacture in Australia and the Hannay products we import, are made with the highest standards in quality. 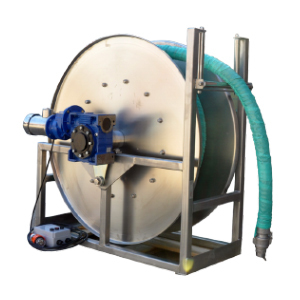 Your team is kept safer and sees improved effectiveness when you choose from our hose reels. Contact us to learn more about the systems we offer and to see which one is right for your needs.